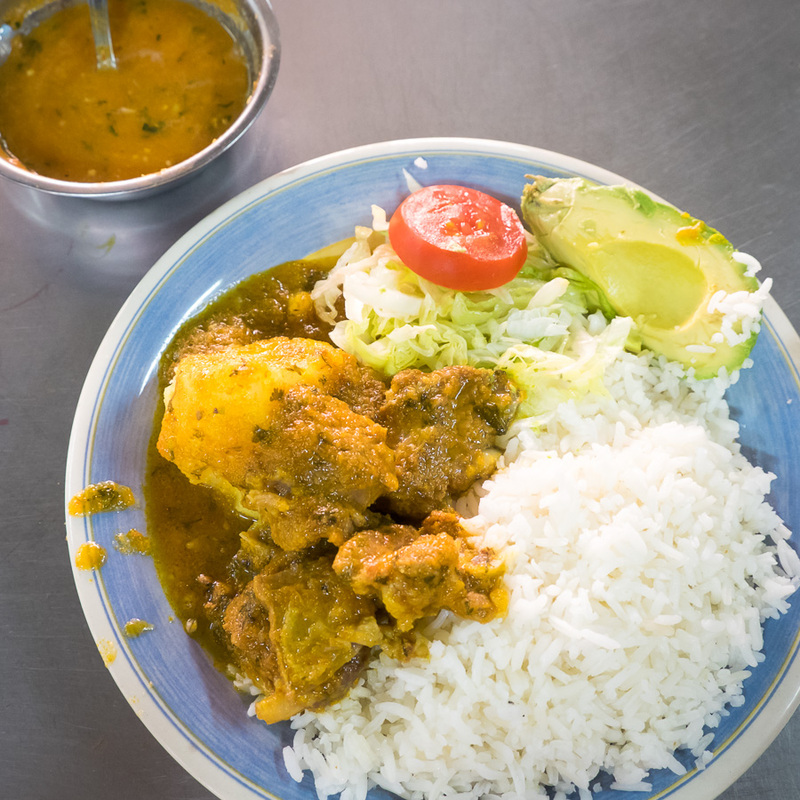 My first foray into Ecuadorian food was through the Quito Culinary Tour and Cooking Class, which was followed up by the Friday Night Food Walking Tour offered by Community Hostel in Quito. There were about 15 of us trying to squeeze onto very narrow footpaths, sharing samples of different local food that could be found around the hostel. The bottom right picture was from the shop across the road and is Tripa Mishka – or BBQ cow tripe. Again, I’m not a fan of tripe – especially after being inadvertently tricked into trying it the first time by chefs of Cerro Tololo Interamerican Observatory about 18 years ago (it really wasn’t their fault – it looked like sweet and sour chicken so I took a huge plate. It most definitely was NOT sweet and sour chicken 🙁 ) Imagine my surprise when I actually really, really liked the Tripa Mishka! From there we headed up the street a bit to a shop that had lots items made out of corn. While I’d already tried humitas, empanadas de morocho and pristiños before, I added quimbolitos to my sampling (top right picture) – which were kind of like a humita but with a cake-like texture. Nice! At yet another shop across the road, Mr. Pincho, we sampled pinchos (skewers with sausage, potato, mushroom and capsicum) and alitas (chicken wings on a skewer). The final stop on the Food Walking Tour was a little further down La Ronda with the best Fritada (kind of roasted then fried pork) I had in Ecuador (and I sampled a lot after this awesome introduction). Sooooooo good! Best Fritada I had in Ecuador, plus two types of Aji (spicy sauce). One with peanuts and one without. That was it for the Food Walking Tour, but based on the recommendations from the Quito Culinary Tour and Cooking Class, I went back to the Santa Clara Market for lunch on a couple of different days. Another time, it was the Seco de Chivo – which is beef in a quite flavourful sauce. Another one of my favourites. In addition, on the Free Walking Tour of Quito, we stopped by one of the most famous “sweets” shops in Quito. So of course I had to sample several of their products as well 🙂 Unfortunately I can’t remember their names – but they were good! To be honest, the Friday Night Food Walking Tour had potential to be amazing, but fell short. Not all the samples were included in the price and you only got to have a very small sample of the dishes because it had to be shared between ~15 people. Also we had to share the drinks we tried from the same cup … which put off quite a few people. The Free Walking Tour of Quito was really awesome and you should definitely do it if you are visiting. 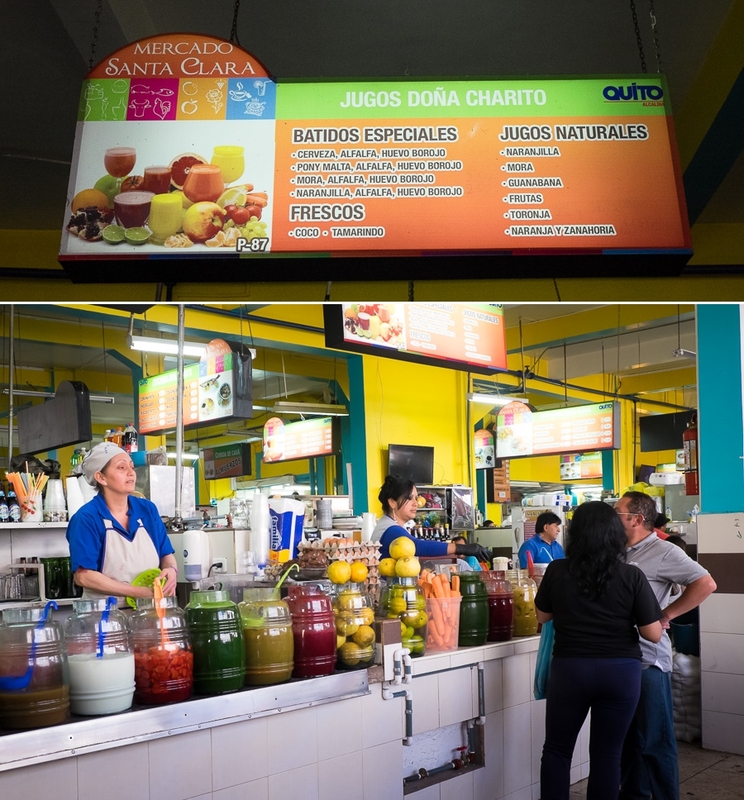 You should definitely check out the Santa Clara market – it’s a great place to wander around and to eat at – and you can get some awesome Ecuadorian chocolate there! This entry was posted in Exploring the World and tagged Ecuador, food.